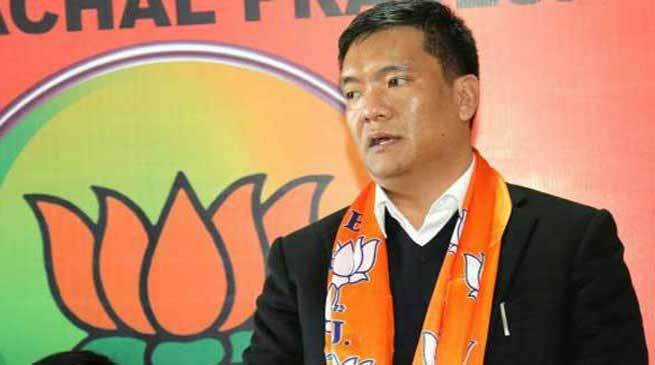 Addressing the State BJP executive meeting at Tawang on Friday, Arunachal Pradesh Chief Minister Pema Khandu said that “Though the Chakma – Hajong refugees issue is a mess created by Congress party, the BJP party in the state is taking steps to solve it”,. The chief minister said following the Supreme Court order to grant citizenship to these refugees, 2000 applications were received, however, none qualified for citizenship. He said it’s the centre to decide on citizenship of these refugees, but the state government is firm not to allow these refugees into the state without ILP. He further said no land rights or any rights enjoyed by the tribals of Arunachal will be accorded to these refugees. He also said that there can be no third type of citizenship where a non Arunachali could enter the state without ILP. On Tibetan refugee, the Chief Minister said the issue cannot be mixed with other refugee issue. He said Tibetans are not demanding citizenship. Secondly, the basic facilities of water, electricity, roads, PDS supply are already extended to Tibetan refugee settlement camps in Arunachal. It is the govt of India that decided to extend these facilities to all states wherever these refugees are settled through Tibetan Rehabilitation Policy (TRP). He said the TRP policy was to be adopted by previous governments but couldn’t implement because of the political tussle in the state. He said the policy will only be adopted in consultation with all indigenous community and student bodies and any objectionable matters will be omitted or modified. The objectionable matters in TRP are the grant of land lease and govt jobs to Tibetan refugees. The Chief Minister said the present population of Tibetans in Arunachal is around 7000, which is decreasing every year. Many Tibetan families are being offered jobs and settlement in developed countries and hence they are leaving their settlement camps.